Once More With Feeling, the 20th Anniversary Buffy Fancast presents our take on The Prom. It’s prom at Sunnydale High, so of course Joyce tells Angel to break up with Buffy and of course he does. Your watchers have opinions about this. Also, there’s stuff going on with Cordi and Xander and Anya. And some hellhounds are going to attack the prom. The Watchers discuss Angelus’s “return,” Faith’s continued descent into bad-guy-dom. We do math on Wesley’s age v Cordelia’s age. Angel’s acting, Buffy’s acting, Faith’s acting. How dangerous the ruse was, and how would you feel if you were Xander and Willow when you learned that you hadn’t been told the truth? Once More With Feeling, the 20th Anniversary Buffy Fancast presents our take on Doppelgangland, episode 15 of season 3. The Watchers gather to talk about Emma Caulfield as a comic actor, Alyson Hannigan as an amazing actor, David Boreanaz as a guy who is acting in this episode. The Watchers discuss why Allen was in that part of town in the first place, why Willow is so upset about Faith and Xander, lounging in leather pants, Faith’s assault on Xander, “safety” words, and Boreanaz’s continued lack of dedication to acting. Wesley’s here! So, we go ahead and discuss his entire character arc over the next several years. We think Eliza Dushku is the best – she is acting her heart out in this ep. The fat-shamy-ness of Balthazar. Improper test proctoring. The Watchers gathered for The Zeppo, the Xander spotlight episode. We talk about Cordelia’s comprehensive pop culture knowledge, hair, donuts, the “R” word, teaching kids all the things, and Jos Whedon's feminism. We were stunned when guest Jen told us that Bob was played by Michael Cudlitz from The Walking Dead. 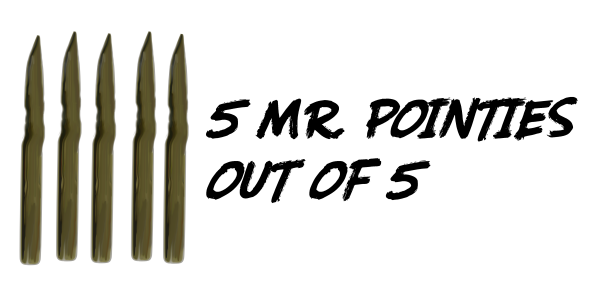 Rating: 5 Mr. Pointies out of 5. The Watchers gathered for Helpless. Buffy is losing her Slayer mojo and Giles is acting weird. We talk about the possible purpose of the Tento di Cruciamentum and what it might be intended to accomplish and whether witty banter is an actual slayer power. The Watchers gathered for Gingerbread. Mass hysteria has taken over Sunnydale and they target the supernatural. We discuss bangs, how much more interesting this would have been if it hadn’t been a supernatural influence, and whether or not drunkenness is a good analogy for supernatural influence. The Watchers return! In this episode we discuss the iconic episode The Wish. We talk Harry Potter and vampire pairing standards. Cordelia’s sudden monochromatic wardrobe. Oz’s wonderful honesty. Whether any of Willow’s parts actually belong to Oz. Buckle up, it’s a long one! Once More With Feeling, the 20th Anniversary Buffy Fancast presents our take on Lover’s Walk. Ooops. Your Watcher-Editor Donna didn’t post this when she was supposed to. Here it is now (really posted on Nov 28, 2018)! James Marsters knocks it out of the park, funny, scary, and sympathetic. And he and Joyce are so great together. This is such an important turning moment in so many relationships.